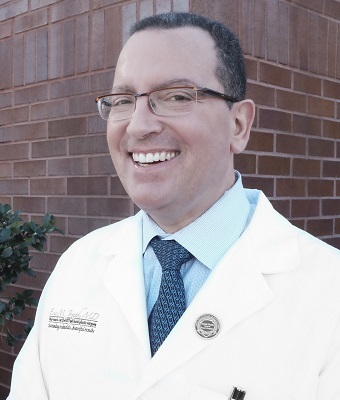 Eric M. Joseph, M.D., has received the RealSelf 100 Award, an award that highlights the top influencers in the field of esthetics and cosmetic treatments. RealSelf is an online network where people can research cosmetic treatments and connect with local medical professionals. RealSelf created The RealSelf 100 Award to honor board-certified esthetic doctors who demonstrate a commitment to education and positive patient outcomes. Skin Inc. had the opportunity to talk with Eric M. Joseph, M.D., about his recent award and where he sees the esthetic field headed in 2017. Skin Inc. (SI): What inspired you to go into practice? Eric Joseph (EJ): Why does anyone go into practice? I needed a job. Joking aside, both of my parents are physicians, so I knew I wanted to become a doctor at age seven. When I started my studies, I really identified with the ear, nose and throat specialists. So when it came time to focus on an area, it was an easy pick. SI: Would you say that you have a specialty? EJ: For 18 years, our practice has been specialized in facial plastic surgery and adult otolaryngology (ENT), with a sub-specialty in rhinoplasty, or nose job surgery. We will perform well over 100 functional and cosmetic rhinoplastic surgeries in 2017. SI: As a physician, how do you keep up-to-date with the most recent research and procedures? EJ: I keep up-to-date with all that's new and exciting in facial plastic surgery by reading the Archives of Facial Plastic surgery, and by attending yearly conferences with expert physician lecturers—Typically the VCS conference and the AAFPRS conference. "We have seen a dramatic increase in nonsurgical rhinoplastic treatments with injectable fillers." —Eric M. Joseph, M.D. SI: Lately, there has been a lot of talk between non-invasive and invasive treatments in the industry. What would you say is the current state of each? Is one outperforming the other? EJ: Non-invasive procedures like neurotoxins (Botox, Xeomin, Dysport), fillers, fractionated lasers, and non-surgical body contouring have been on the rise since these procedures may have little or no downtime, and may be cost-effective. We have seen a dramatic increase in nonsurgical rhinoplastic treatments with injectable fillers, but large distracting nasal appearances may require surgery for to achieve the desired result or to correct airway issues. SI: Recently, you received the RealSelf 100. Can you speak to that award and what it means to you? EJ: It is a great honor to be recognized as a Top100 RealSelf.com physician. RS is the best social media platform for prospective consumers to ask questions and receive information about plastic surgical procedures. Consumers are also able to investigate credentials, reviews, and before and after photos of prospective surgeons so they can start a research journey that may lead to a favorable relationship. To be considered in the Top100 of over 14,000 participating physicians is a blessing.